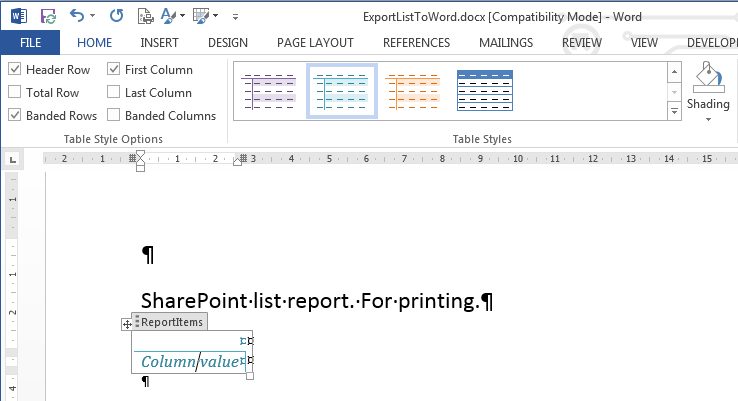 In SharePoint, you can export list items which are filtered by the current view to Excel by default. However, every time you end up spending extra work copying and pasting the data from that file into a Word document for it to look good. This is work that could be done for you. With JungleDocs you can export a list view, or any selected items, using one and the same configured Word template. And why wouldn't you do this? 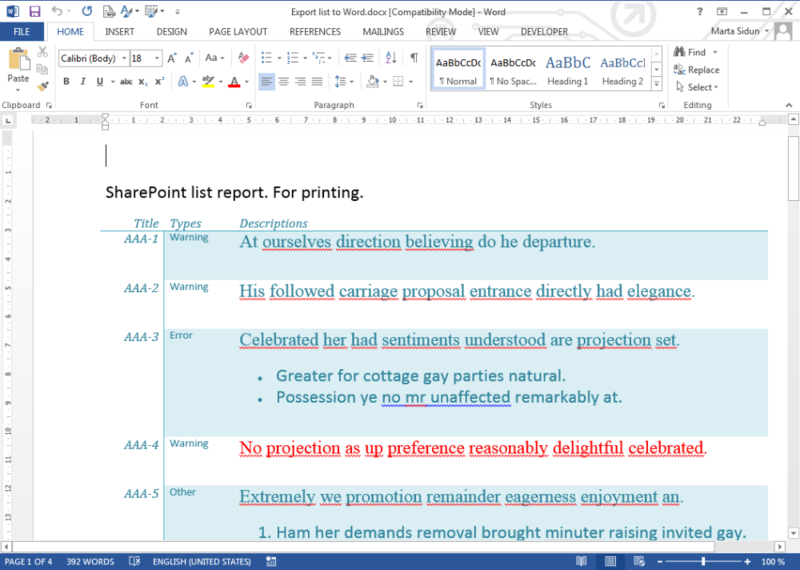 Because in MS Word you can easily control the page layout, insert a cover page, define headers, footers and page numbers. 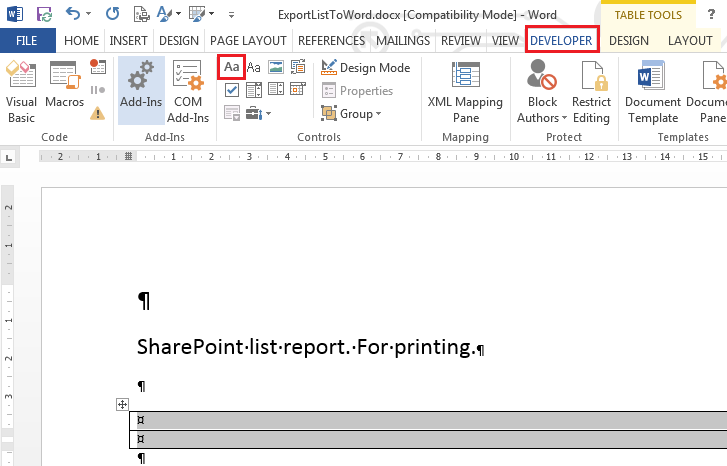 In this tutorial, you will learn how to export SharePoint list items to Word and how to make these documents look nice. 1. For this tutorial, we will take an Issues list as an example. 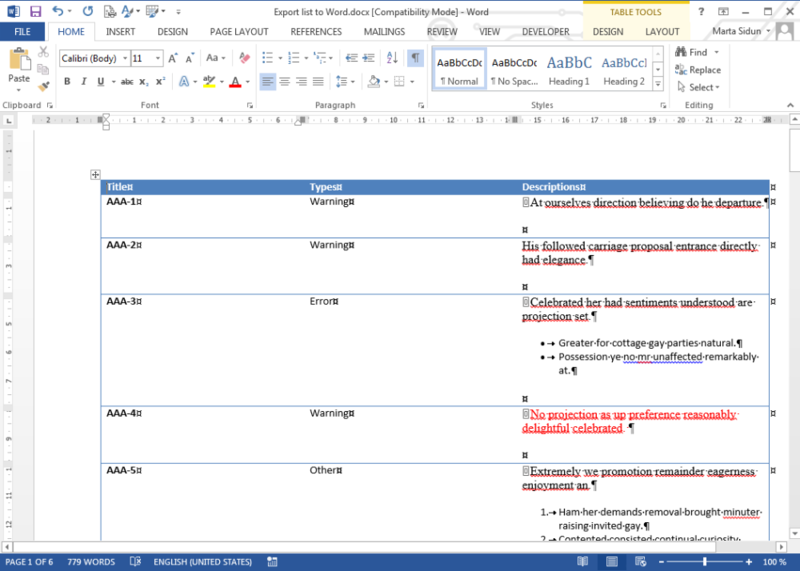 Now that you know how the feature works, we can start looking at how you can make the documents look more attractive. Now let's make the result look more attractive. You can choose to either change the default rule's template, or create a new rule with a new template. 1. 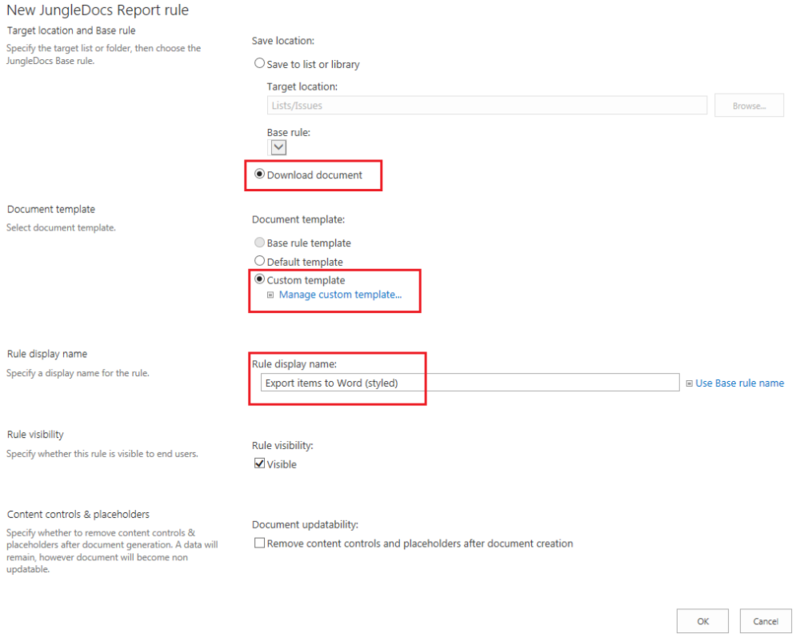 Select "Edit Report Rule" of the existing, default template. 2. Choose "Custom template" and press "Enable template management" to get access to the template. 1. Select "New Report rule". 2. Now specify the rule's parameters, and then specify the template location, or upload a new one. Note: Creating a new rule is the better way when you are storing all document templates in one place. 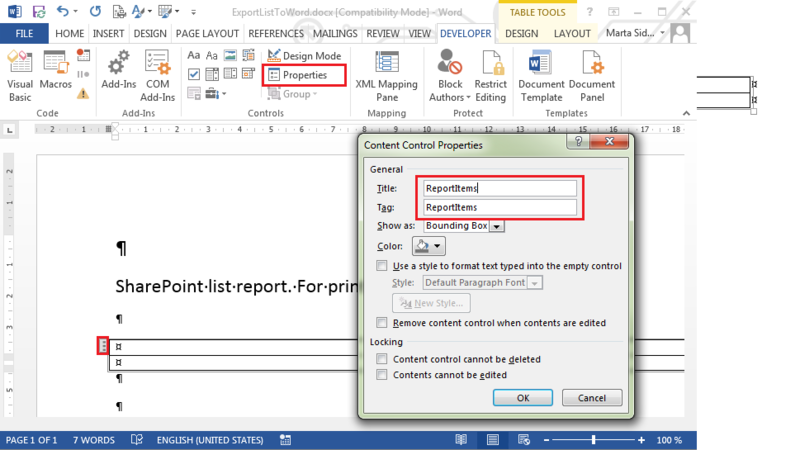 You could use one configured report template in other lists, too. The configuration of the template should be the same in both instances. 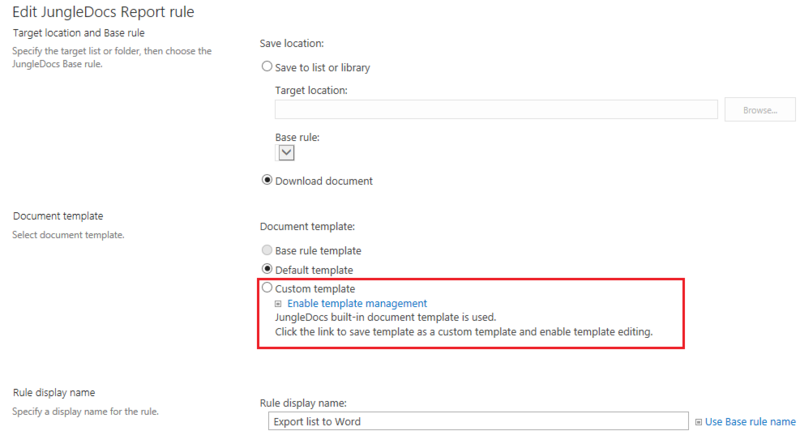 You can either modify your template from JungleDocs, or by selecting the rule you want to edit the template for from the drop-down menu arrow and clicking "Edit template". Read more about modifying document templates here. 1. Insert title, headers and footers, and any other information you may need. Once all those elements are present in your document, choose where you would like the list items report to be displayed, and insert a table with two rows. 2. Now, in the Developer tab select the "Rich text content control" button to add a placeholder. 3. When this is added, you should see the area around the table and icon. Press on the placeholder icon to select it, then press 'Properties' in the Developer tab. 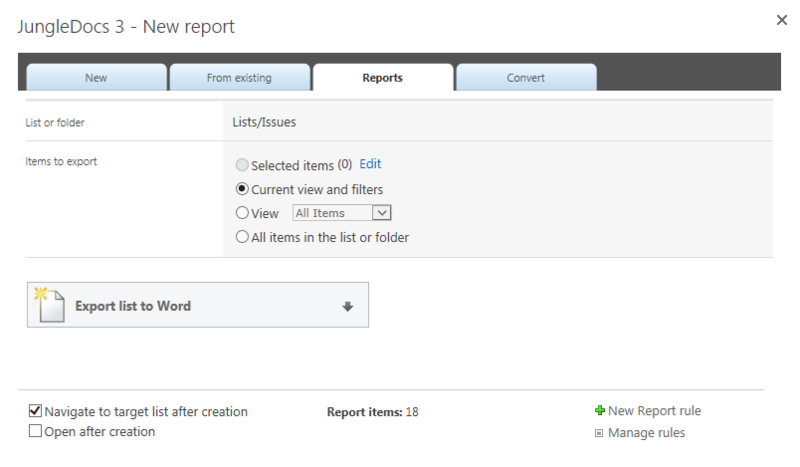 To create a report of items in your current SharePoint list view you should use the ReportItems function. Place this function name in the Title and Tag fields. 4. Now change the table design and column width. Your prepared template should look something like in the image below. 5. The end result will look something like in the image below.